Parmanu movie review: Celebrities and critics in their reviews have praised the movie for the brilliant performances and presenting the historical drama. 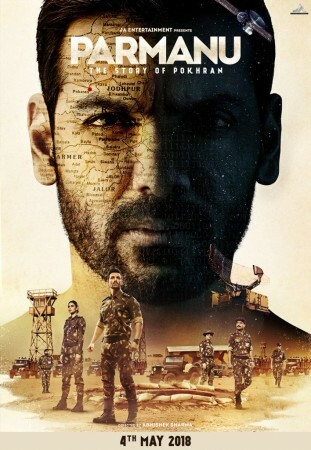 Read the reviews of the John Abraham starrer below. John Abraham's Parmanu has opened with mixed to positive reviews from critics and Bollywood critics. Abhishek Sharma's directorial has impressed the celebrities but not all the critics. The film is a historical drama based on the Pokhran II nuclear blasts conducted by the Indian Army in 1998. Abraham and Diana Penty play the role of army officers. From Abhishek Bachchan to Harshvardhan Rane, celebrities who watched the film in a special screening have praised the film and Abraham-Diana for their performances. On the other hand, some critics have said that Parmanu is one of the best films of the Hindi film industry with a gripping climax, while others have called it a superficial and tepid thriller. Trade analyst Taran Adarsh said the film deserves a standing ovation and it should not be missed. "#Parmanu is a triumph for director Abhishek Sharma and lead actor John Abraham... The director, together with writers Saiwyn Quadras and Sanyuktha Chawla Shaikh, brings to life an important chapter from history... This is one story that had to be told," he tweeted. Pinkvilla reviewer said the John Abraham's hulk act in the film doesn't do much and the best thing about the movie is writing. "There is enough to enjoy, especially if your knowledge on the subject is limited," the reviewer said. Rohit Vats of Hindustan Times said the film holds its ground toward the climax. "At 129-minute duration, Parmanu keeps you hooked once you let the dull opening scenes pass." Rachit Gupta of The Times of India said the film lacks details and authenticity, but it makes up with sense of nation pride. "The narrative isn't explosive but it does have the dramatic moments to keep the viewer engaged," Gupta said. Manjusha Radhakrishnan of Gulf News said the film based on true events has been made in Bollywood style and that is why there might be some jarring notes. The reviewer said that one of the standout features of Parmanu is that it doesn't indulge in unnecessary Pakistan bashing. "While the premise is intriguing, the film doesn't blow your mind away," Radhakrishnan said. Saibal Chatterjee of NDTV said the film explodes to life and is weighed down by a ridiculously fanciful screenplay. "Parmanu - The Story of Pokhran is as a flat as a pancake, a hopelessly limp exercise with creaky nucleus that is buried under a mound of forced tropes before it can get going." Filmmaker Milap Zaveri said that Parmanu is a terrific film, Abhishek Bachchan said that he is proud of Abraham for presenting such a story, while Raai Laxmi said that the film is mind-blowing. #ParmanuTheStoryofPokhran is the story of India?? and one if it’s proudest achievements. #AbhishekSharma takes @SanyukthaC @SaiwynQ script and makes @TheJohnAbraham give a rousing performance. Salute guys!!! ??? #Parmanu is a terrific film which inspires and gives rise to the pride that one feels as an indian! Bravo @TheJohnAbraham for backing such an important story and giving such a super performance! Having seen your fight to release this film hats off to you and more power to u! ?? Really enjoyed #Parmanu. The sheer audacity of what we as a nation achieved and the heroes that did it…. This story had to be told! So happy and proud of my brother @TheJohnAbraham well done to the entire team, Sharmaji, @DianaPenty and the rest of the wonderful cast and crew. ?